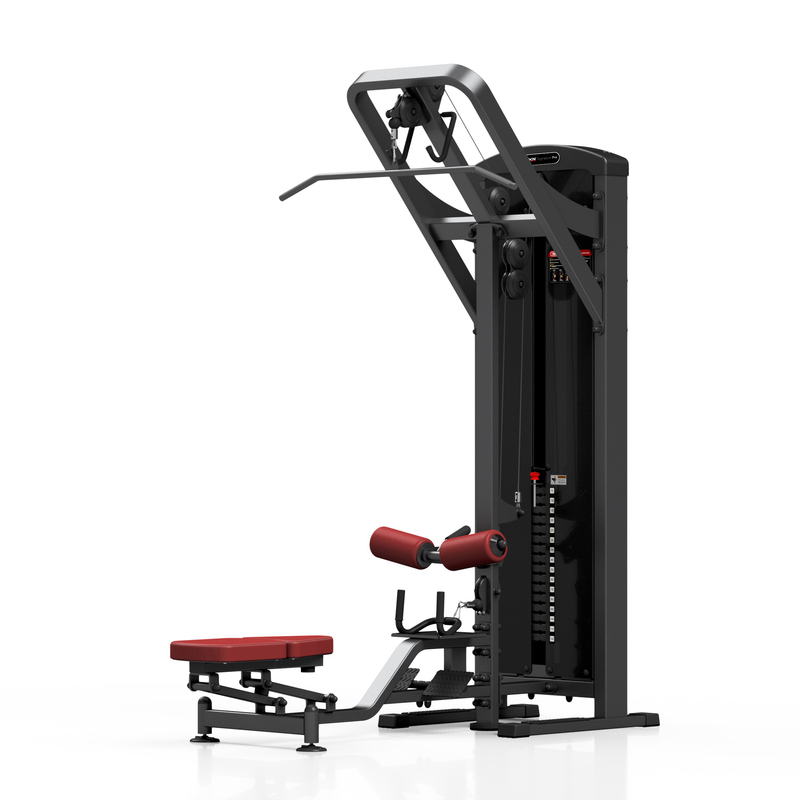 The SP-U212 is equipped with a completely newly designed pulley system, allowing you to easily connect to both the upper and lower pulleys. In one hand movement, you can select the seat position quickly and efficiently for perfect ergonomics! 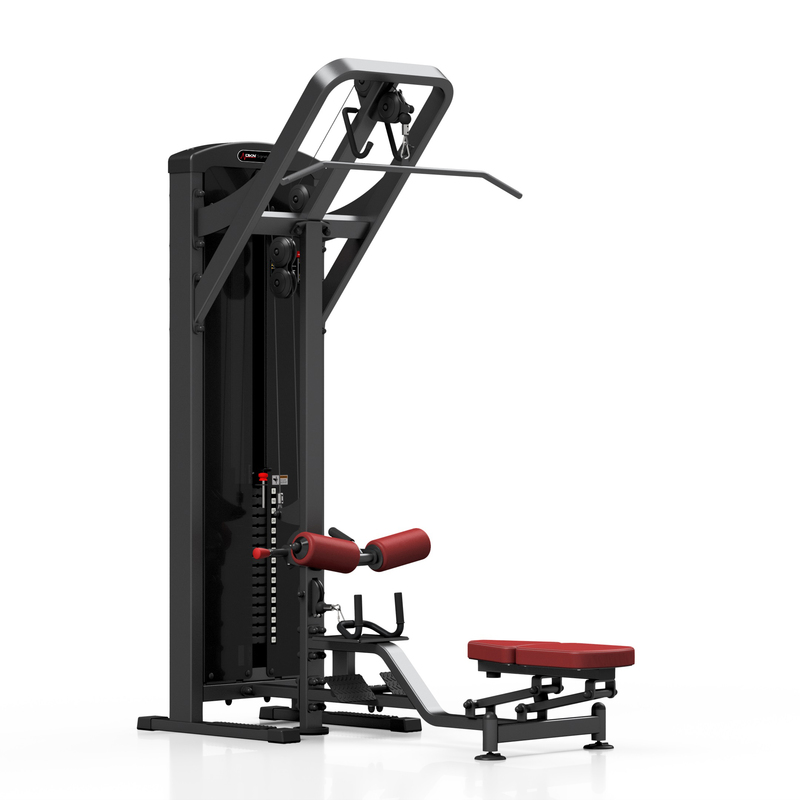 Comes with 2 pullbars: MH-C001 and MH-C103..
Intuitive lat-bar locking system allowing you to easily change from the upper to lower pulleys. 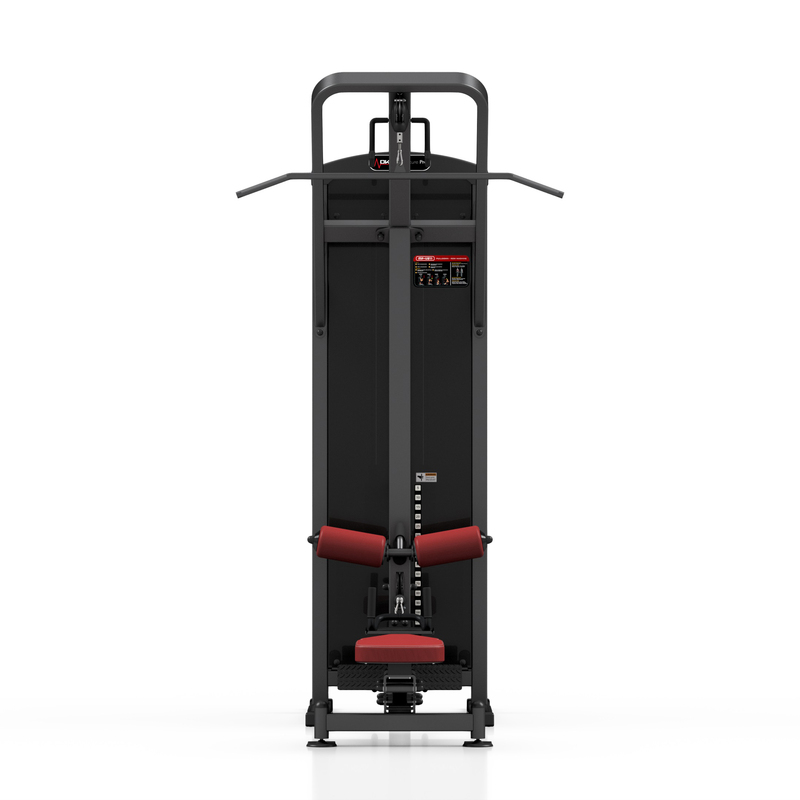 Equipped with a 120 kg weightstack: 8 x 5 kg and 8 x 10 kg. A rubber tray for the weight handle makes lifting and selecting the proper weights a lot more easy, and makes it all more silent. This 2 in 1 is a perfect match, both for neophytes and experts. 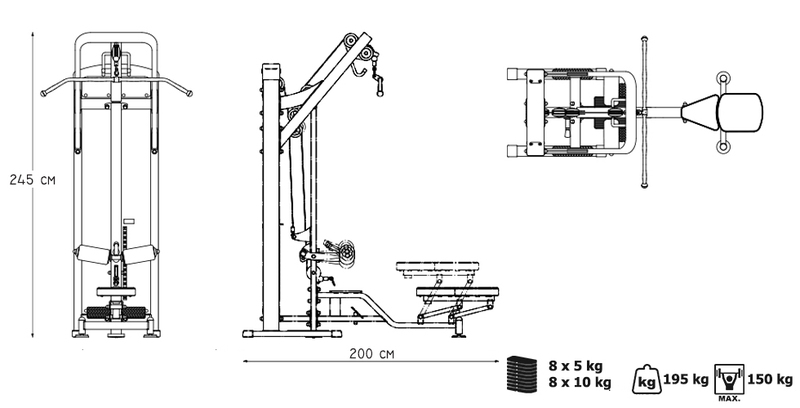 Comes with 2 pullbars: MH-C001 and MH-C103. 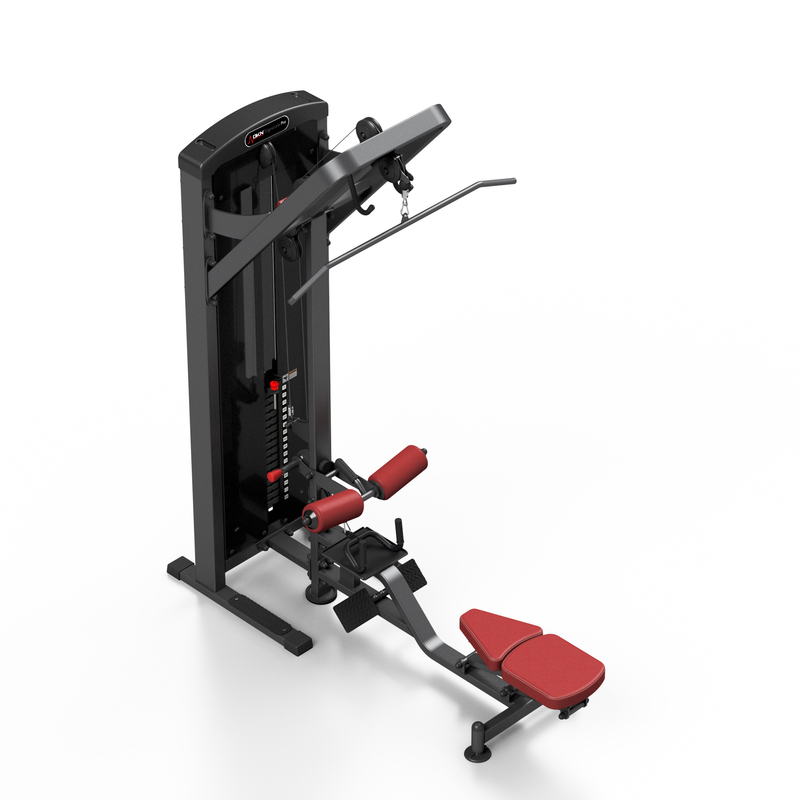 The seat is composed of individual segments, mounted on a solid 3 mm steel support, offering a high training comfort. Made of durable upholstery finished with an eye for details! Double stitched seams reinforced on each side. 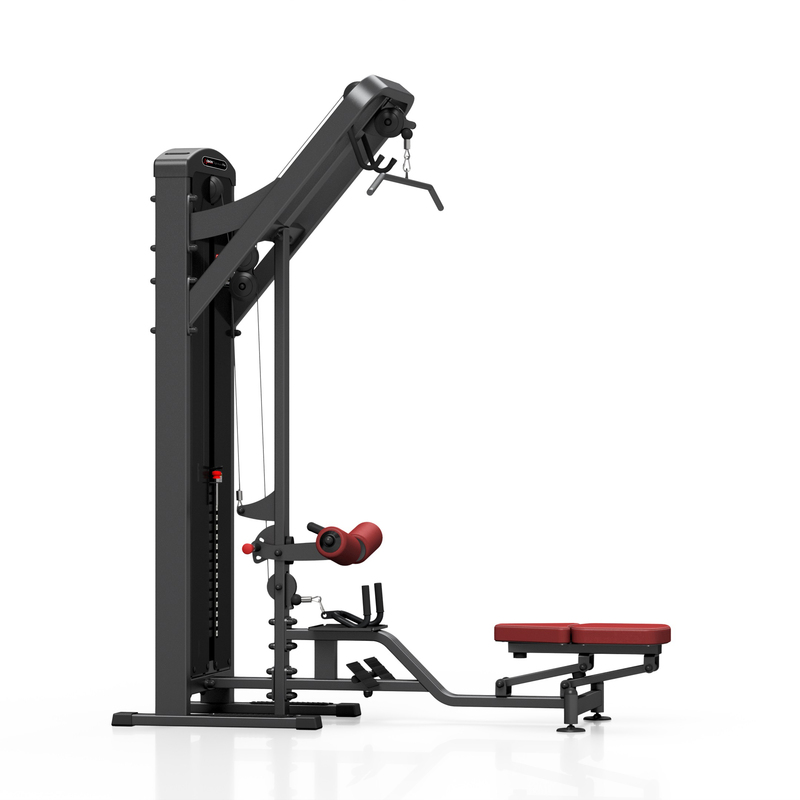 The seat itself has 4 adjustable positions. In one hand movement, you can select the seat position quickly and efficiently for perfect ergonomics!